Here are the minutes of the Sept. 12 AFTW monthly meeting at the Scottsdale Flight Standards District Office. Thank you Terry Brandt for putting these together! AFTW Meeting 12 September 2012 at SDL FSDO. There was one school represented, one CFI, one DPE, one from Casa Grande Airport Advisory Committee. 1. Congested areas/bottlenecks should keep us alert and looking for ways to avoid potential problems. 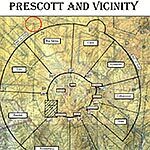 We may be able to de-conflict the areas by varying altitudes and ground tracks. Areas noted where we want to continue to watch and modify as necessary are in and around CGZ and TFD, around Apache Junction (landfill and Renaissance Festival), and west of DVT runways to the 101. 2. Aerobatic Boxes. 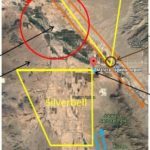 We have been notified of two recent renewals for one at P48 and one west of the southwest side of the Estrella Mts (http://aftw.org/wp/2012/08/atcas-aerobatic-box-south-of-goodyear-is-hot/ ). Boxes are shown in the AFD and on the Training area maps on the AFTW web site. (http://aftw.org/wp/wp-content/uploads/2011/04/TAC43a_V1_01.pdf ). 3. The Radio Station KCKY continues to be used for approaches, holds, tracking and arcing. Because of the high volume of VFR traffic and published approaches in the area AFTW continues to recommend we discontinue use of unpublished procedures at this facility. a. NASA reports are distilled into a publication “CALLBACK”. A recent theme was Texting while Taxiing. (Available from http://asrs..arc.nasa.gov). It reminds us distractions and problems come in many forms. b. Recent additions to the PTS and best practices strengthen the need for pilots to have airport diagrams available during surface operations. They should also be part of the preflight planning noting hot spots and you can annotate possible other problem areas. 2. Airport Construction. Many of airport we use regularly have construction projects and often they will increase in the fall through the spring. Recommend you plan these out on your airport diagram. a. Prescott and Falcon have taxiway projects. b. CGZ has runway and ramp projects. c. E77 is scheduled for runway lights. There may be many more as always check NOTAMS as part of your preflight planning. 1. Radio Telephony and Proper Phrasing. We are hearing some pilots recite the whole book on their radio calls and go well beyond the essence needed for safety. Additionally on some UNICOM and MULTICOM frequencies there is a lot of socializing. 2. 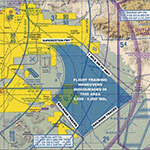 Private and Commercial Airplane PTS effective June 2012 include new and revised tasks. a. Included are Steep spirals and emergency descents. b. Some observations from DPE suggest that applicant response to some abnormal/emergency tasks do not consider a root problem before action. For example, if the problem is an engine fire some will start a dive to extinguish the fire but has not turned off the fuel which keeps feeding the fire. 3. GPS data base for Instrument and Instrument Instructor. GPS equipment used must be IFR certified and contain the current database. See the Aircraft and Equipment required for the Practical test in the introduction the PTS. 4. Pilot Bill of Rights (PBR) was established 3 Aug 2012. When applying for certificates and in some other instances you will be provided with information and asked for an acknowledgement of the PBR. 5. DPE test limitations. DPE are currently limited to 50 practical tests per quarter. You may want to plan your schedule to allow the DPE meet your need and look toward some other options if you or your organization has to test pilots frequently. If you encounter problems contact the FSDO. Next meeting will be 14 Nov 2012 at the FSDO 0930 to 1130.